Catherine is a young girl who loves to read. Most of her experience comes through the books that she loves so dearly. The first half of this book shows Catherine's relationships and friendships as she travels to Bath with some family friends. She is soon in love with the society and lifestyle there. It also helps that there is a very handsome Mr. Tilney. But the book takes a darker turn as it progresses and it may be that her new friends are not all that they seem to be. 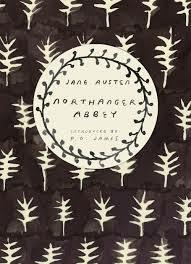 What I loved most about this book was seeing how Catherine progressed from such a naive character to a more mature woman. She was a fun protagonist to follow. Her love of books was endearing but also very humorous. I think that this is a book that I will be rereading many times.